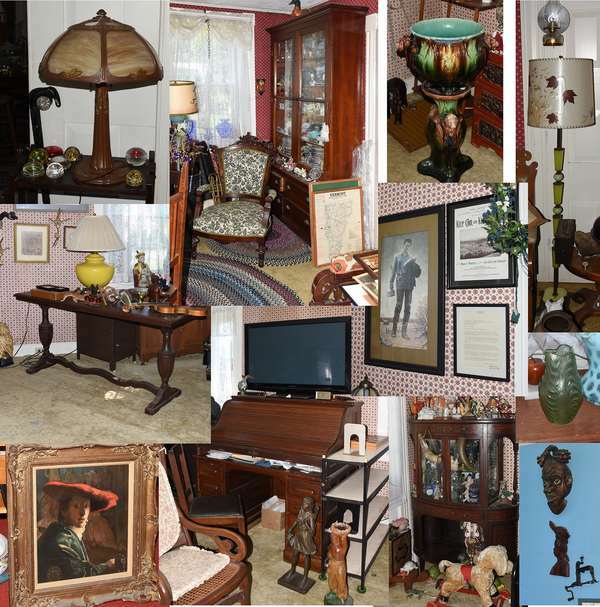 We have been commissioned by the heirs to offer the complete contents of the Dorothy “Dottie” Cummings Estate. 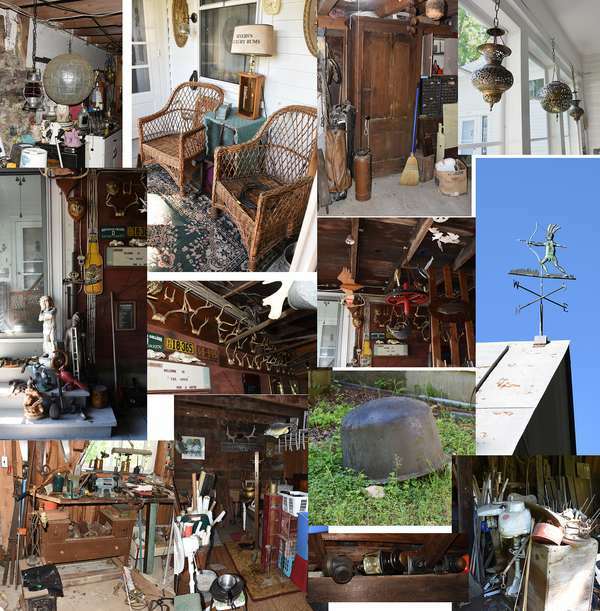 Dottie was a life-long collector and her home is crammed. She also was a WWII veteran and shot her first deer at age 8 and her last deer at age 82. She accumulated for over 60 years. We will attempt to sell as much as we can individually. There will be generous tray and box lots. At the end we will sell the contents of two attics, the basement and out buildings. Please plan to attend and bring a truck! 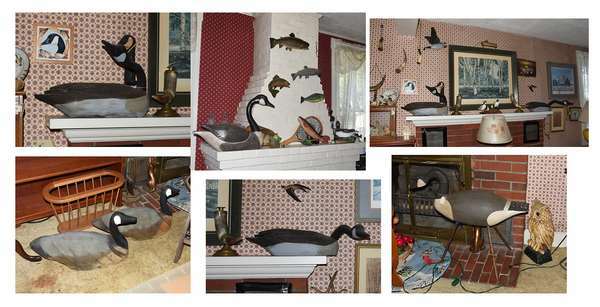 In-Part: A very partial listing to include a 6’ standing shadow display cabinet of a vintage menagerie of animals; two Victorian oak bookcases; unique Vict. settee; 48” Vict. oak “S” roll top desk w/double banks of drawers; mahogany inlaid china cabinet; two Vict. dining tables; sets of Vict. dining chairs; carved Vict. oak server; dresser, beds; and other furniture. Come look the tent is full! Firearms: JC Higgins 12 ga.; Remington mod. 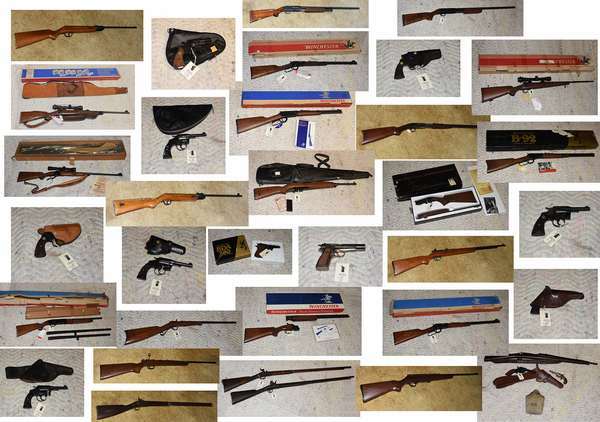 25; Several Winchester rifles some in original boxes including, model 94 30/30; Model 270, 30–06; model 1500 XTR; Winchester model 70 XTR featherweight, Winchester model 9422M, XTR 22, Winchester Xpert model 96, 20 gauge field gun; Winchester model 70 XTR, 30-06 Springfield; Browning 22 cal rifle; Winchester model 1902, 22 cal. ; Ruger rifle; Browning 44 magnum 92 rifle original box; Universal 30 cal mi rifle; Browning 9mm; Colt diamondback 38 special; Colt police 38 caliber revolver; Colt Cobra 38 special; Colt MK 111 revolver; Colt army special 32–20; early brass bound long gun; Daisy air gun and others including ammo and related. 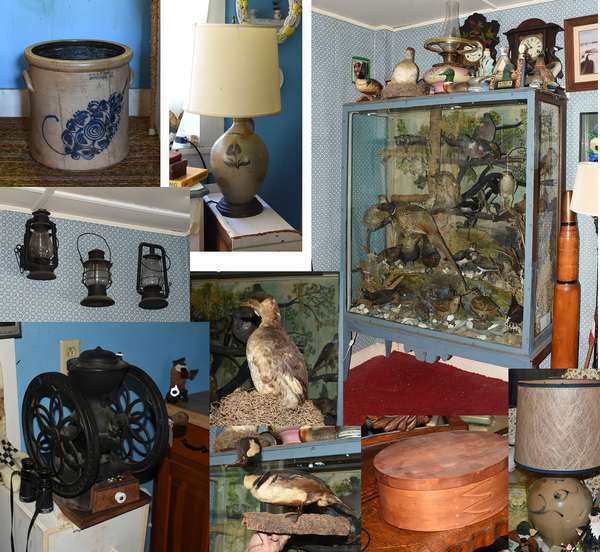 Accessories: small glass case menagerie of animals; mohair teddy bears; slag glass table lamp; several stoneware crocks and jugs with blue designs; sev. 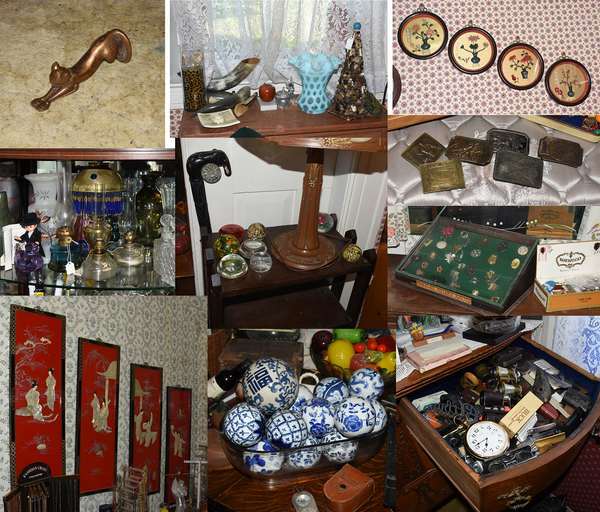 jugs made into lamps; Enterprise coffee mill; large button collection; huge selection of costume jewelry sold in generous lots; collection of canes; bird and duck decoys; Victorian chandelier and lighting; two-part Majolica planter; powder horn collection; 100’s of antler mounts; collection of paperweights; sev. shelf clocks; carpet balls; old Bible; collection of ethnic masks; library of books; 100’s and 100’s of dolls inc. Disney dolls; jack knives display cabinet; political buttons; old banjos and violin; vintage clothing; full size mannequin; apple peeler; 32” combo safe; pair of iron dog bookends; large cast iron kettle; fireplace implements; copper and brass; vintage advertising including Marlboro bench; stereopticon viewers; large church pew; bronze cat doorstop; Loetz vase; signed slag owl; miniature lamps; Royal Haeger and Roseville pottery; shot flask; chalkware deer; drawers full of linens. WHERE: 20 Route 12 Hartland, VT.
Can't attend? Download an absentee bid form.